Our products are engineered specifically for the Arizona climate with a design emphasis on Heat Reflection, Dust Control and Noise Reduction. The Energy Shield Window & Door Company offers a complete line of energy efficient, Energy Star Rated windows which are available in popular materials such as vinyl, aluminum, fiberglass and wood clad frames...and all with High Performance Low-E Glass and Argon Gas. Regardless of the type of window that best fits your home and your budget, you’ll be sure to find the best deals on a wide range of quality, replacement windows for your home at Energy Shield Window & Door Company. The Energy Shield Window & Door Company specializes in converting windows to doors and cutting openings in walls to install Sliding Glass Walls. Choose from energy efficient vinyl frames, rugged and durable aluminum frames or the elegant wood clad frames. Sizes range from 5 to 30 feet in width and up to 10 feet in height. Our installation services include pulling permits, demolition, framing, headers, dry wall repair, electrical, stucco repair, trim, texturing and removal of all debris. With hundreds of door styles to choose from your sure to find a door that suits your style and budget. Our most popular doors in Arizona are constructed of Fiberglass. These doors have proven to hold up in the grueling heat, no cracking and less maintenance than wood doors. Available in wood grain surfaces with several factory stain options. You will have a hard time telling it’s not real wood. We also carry wood clad doors, rugged aluminum exteriors and elegant real wood interiors. From energy-saving windows constructed from durable, long-lasting materials, to replacement Entry Doors featuring enhanced security and performance. At Energy Shield Window and Door Company, we install, warranty and service everything we sell. The Energy Shield Window & Door Company has been manufacturing high-quality vinyl windows and doors in Arizona since 1996. Our products are engineered specifically for the Arizona climate with a design emphasis on Heat Reflection, Dust Control, and Noise Reduction. Buying factory direct assures you the absolute best price, service, and quality. Our windows and doors come standard with metal wheels and locks, night latches, durable virgin vinyl frames, extreme low-E glass and argon gas. In addition to manufacturing our own brand, we are also a Distributor of other National Brands. THE BUCK STOPS HERE! We install, warranty and service everything we sell. At Energy Shield Window & Door Company we stand behind our products and the quality of our installations. Our install crews are factory trained and industry certified. Homeowners love our quality craftsmanship and service! You can't go wrong choosing the Energy Shield Window & Door Company for all your window and door needs. We provide Free In-Home Quotes with absolutely no pressure to purchase. We understand replacing your windows and doors is a substantial investment into your home and that most homeowners receive quotes from several suppliers. We respect your decision-making process and have complete confidence in our quality and pricing. 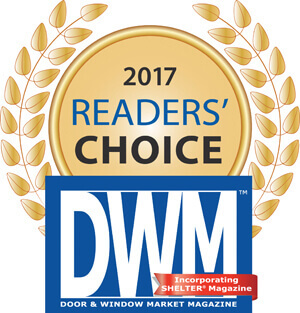 After you have concluded your shopping, Energy Shield Window & Door Company tops the list - call today and schedule a Free Estimate!